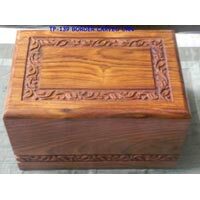 We present an assortment of exquisite Wooden Urns high on demand in the market. 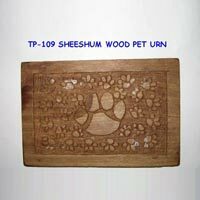 The Wooden Urns offered by us have are beautifully carved in elegant designs. 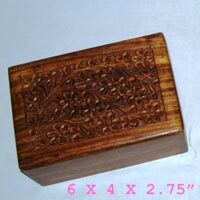 Our Wooden Urns are available in different sizes and weights as per the requirements. They are resistant to decay and are long lasting in nature.